It's my very first time to share any of my projects on the forums. I enjoy building projects based on the many works of Jim Henson, like the Muppets. He was a really big creative influence on me growing up. In many ways, I think Jim's creativity is a really great fit for LEGO. They both tickle the imagination. I hope you'll check out my work. 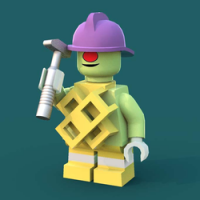 If you like any of my projects, please consider supporting me on LEGO Ideas. Thank you so much!